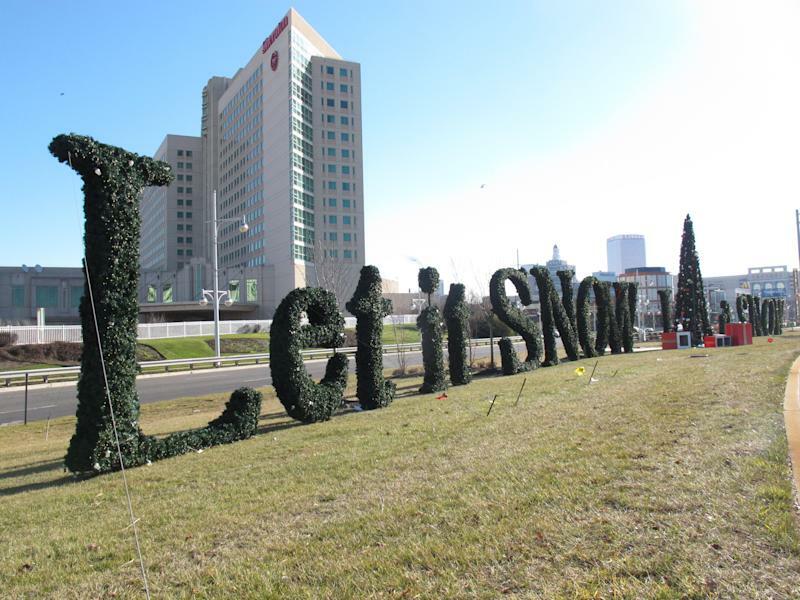 ATLANTIC CITY, N.J. (AP) -- The new year is a crucial one for Atlantic City's future, and 2014 won't start auspiciously. And it will begin with the closing of one of the city's 12 casinos, the Atlantic Club Casino Hotel, which is shutting its doors on Jan. 13, the victim of a takedown in bankruptcy court. Two national gambling companies with casinos in Atlantic City, Tropicana Entertainment and Caesars Entertainment, are paying a combined $23.4 million for the business, and the right to strip it for parts and close it down. Tropicana is taking the slot machines, table games and customer lists, while Caesars is getting the property and its 801-room hotel. Neither has any desire to operate the casino in the now diminished Atlantic City market. In remarks made the day before the Atlantic Club closing was announced, Christie said 2014 is time for Atlantic City to start putting up measurable results. "It's obviously a critical year because we need to begin to see progress in Atlantic City or we're going to start considering alternatives," he said. That means considering the once-unthinkable: allowing casinos at the Meadowlands sports complex in northern New Jersey and possibly elsewhere in the state. Currently, state law restricts casino gambling to Atlantic City, along the state's southern coast. "It's a year when we have to show some significant results," Christie said. The state legislature wants to approve a commission to study the impact of gambling at the Meadowlands. "Frankly, New Jersey's gaming industry in Atlantic City is at a crossroads," Tony Rodio, president of the Tropicana Casino and Resort and head of the Casino Association of New Jersey, wrote in a letter to state lawmakers earlier this month opposing the gambling expansion study. He cited private investment in nongambling attractions like the Steel Pier amusement park, the Margaritaville restaurant and entertainment complex, and the downtown outlet shops; a five-year, $150 million casino-funded advertising and "Do AC" re-branding campaign; and the state-run tourism district focusing additional police and sanitation efforts along the Boardwalk, beach, shopping and marina areas. That progress will be jeopardized if investors think cheaper, convenience-based casinos will pop up in other places. Many casino workers and outside observers fear the Atlantic Club closing could be the first of several in a resort that analysts have long said has too many casinos to support in a shrinking Northeast gambling market. Wayne Schaffel, a former Atlantic City casino publicist in the 1980s, sees more of the same on the horizon, particularly with rival companies preying on weaker competitors. "It is very likely that this same strategy will be used to take out Trump Plaza, perhaps the Golden Nugget and maybe even the Showboat," he said. "It will undoubtedly shore up the balance sheets for the remaining 8 to 11 properties, but it will also take out anywhere from 1,500 to 3,000 rooms. At the end of the day, the winners will be the few remaining casino companies. The losers will be the thousands of employees who lose their jobs; the state, which will suffer from ever lower revenue and taxes, and Atlantic City itself." And the $2.4 billion Revel Casino Hotel could be sold or make a second bankruptcy filing this year. This will be the first full year of Internet gambling in New Jersey, which the state launched in late November to provide another source of revenue for the casinos. The big question is whether it brings in new money or just diverts it away from spending at the brick-and-mortar casinos. Nearly 110,000 online gambling accounts have been created in New Jersey thus far; the first Internet gambling revenue report will be issued in two weeks. The state should also decide this year whether to try to take its thus-far unsuccessful effort to overturn a federal ban on sports betting to the U.S. Supreme Court. Liza Cartmell, head of the Atlantic City Alliance which markets the resort, said Christie should grant a one-year extension of his deadline for an Atlantic City turnaround, noting that the lingering effects of Superstorm Sandy in Oct. 2012 set back tourism in Atlantic City and much of the Jersey shore by more than a year. She also said continuing investment in non-casino attractions proves the resort has a future. "There are people who believe this island, this magical place, is a gem," she said. "It's very rough but it's continuing to be polished. It just needs some time."